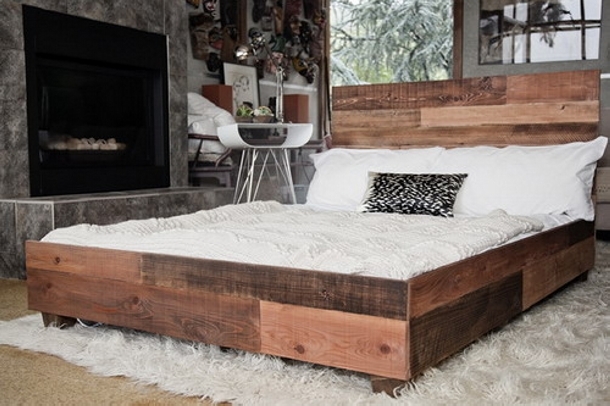 A bed room is especially associated with a wooden bed, or it might be a metallic bed as well. But usually people like to have a wooden one. 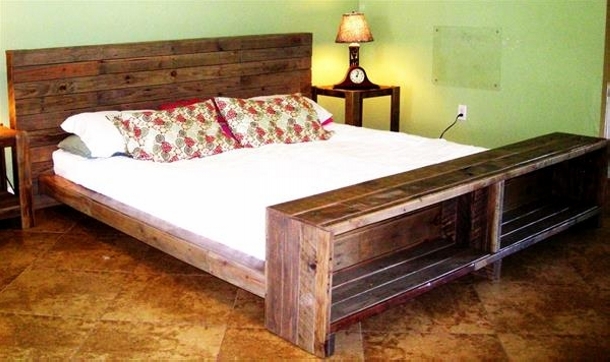 Throughout our recycling journey of wooden pallet we have worked a lot on the pallet wood beds. 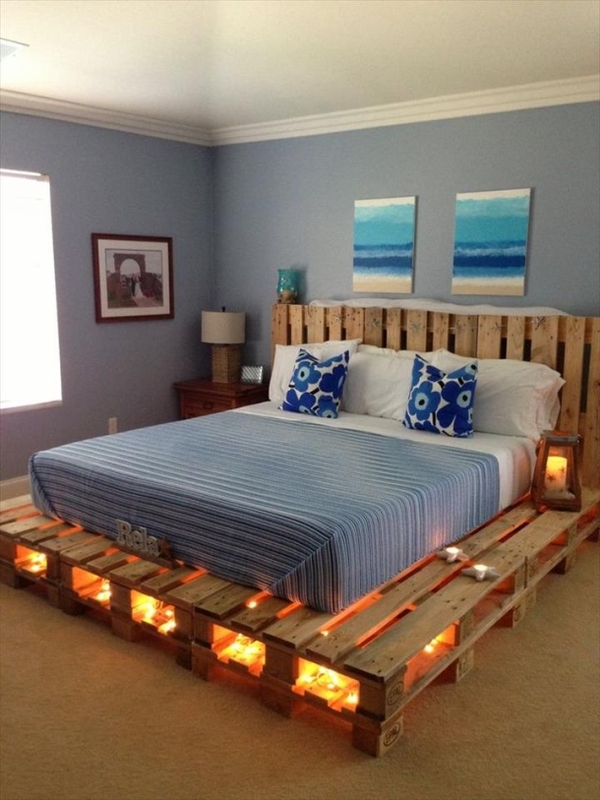 So again here we bring you guys some of the finest DIY pallet bed plans. 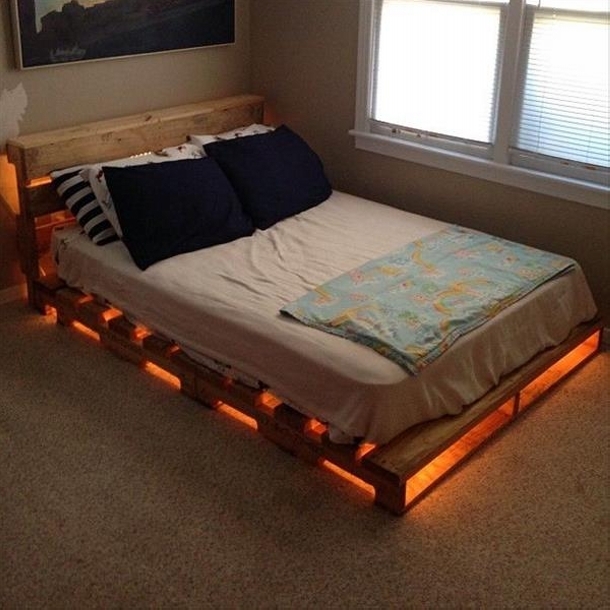 These pallet wood beds would be different in shape size and color obviously. 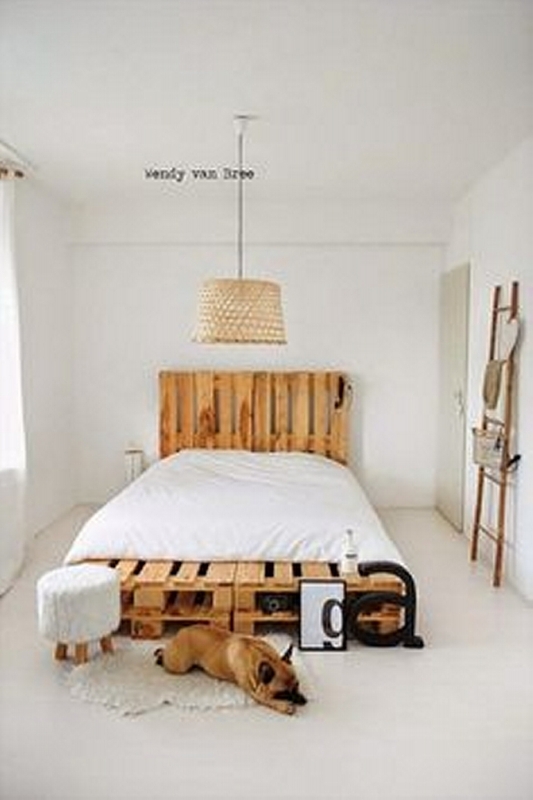 That allows you to chose one for your very own bedroom and start recycling that one with wooden pallet at your own. 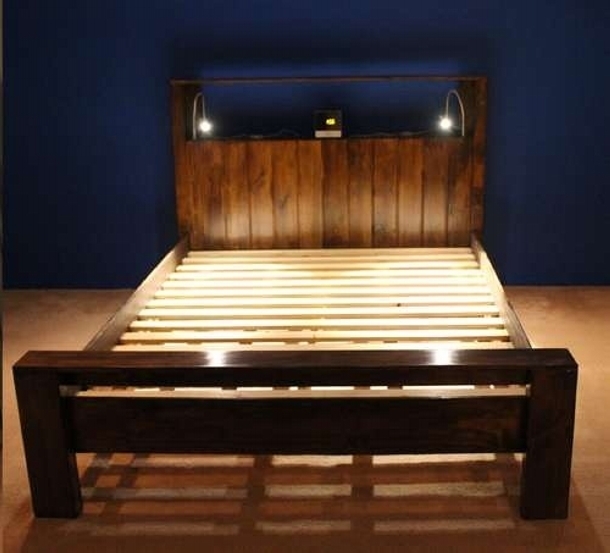 From the very beginning of the pallet bed plans we are starting with a very unique pallet wood bed. The entire structure recycled with the pallet wood, it has got a number of built in lights. 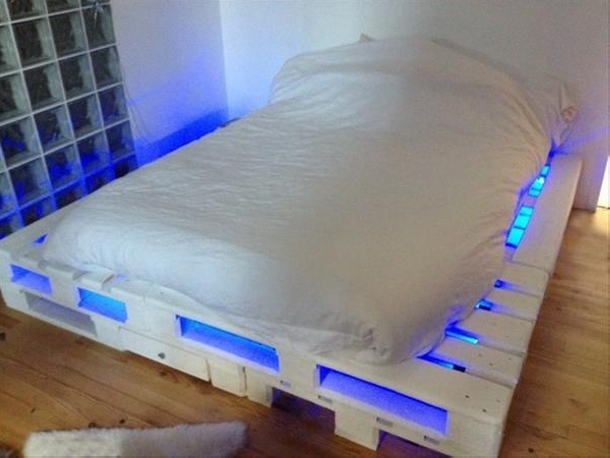 These built in lights escalate the beauty of the bed in dark and make a mere wooden piece much attractive. 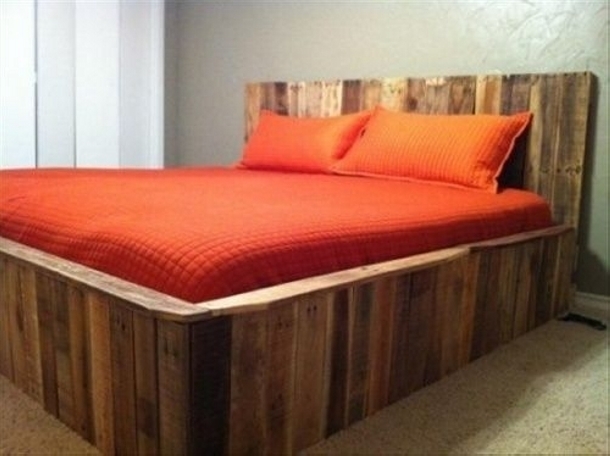 The next one is also a huge master bed recycled with the pallet wood. 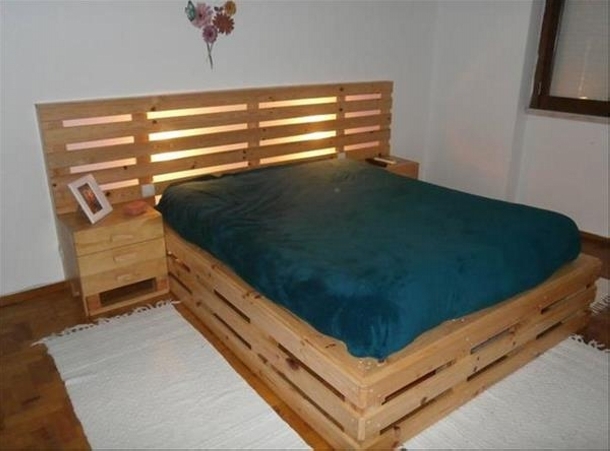 It is a double bed and tall bed making it pretty high from the ground. Some people so much high beds to lie on. 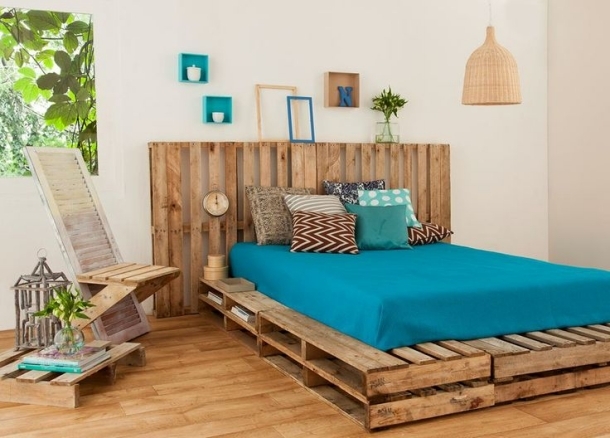 Some fine and fresh pallets are used in making this room master bed. Well, there just can’t be a simpler setting than this one. 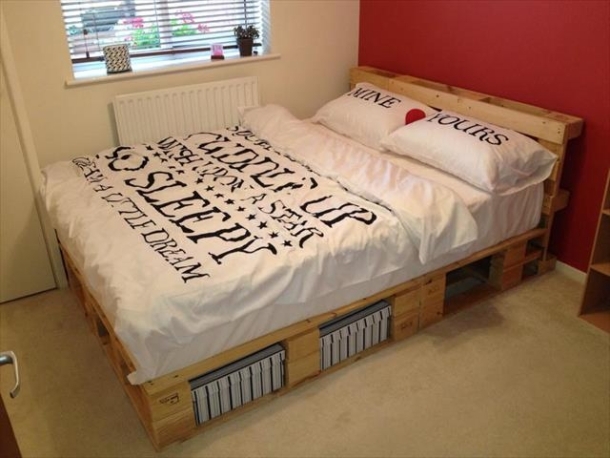 Though this is meant to be a pallet wooden bed but we can see that mere pallets are just put together to prepare a bed like surface and then it is covered with a luxury spring mattress. 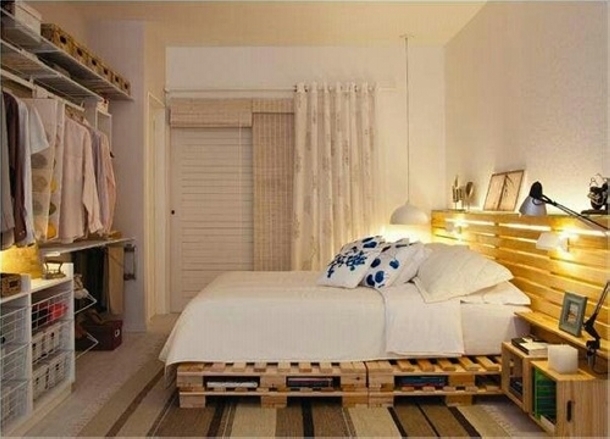 Wow, this one is very well planned and well built room pallet wood bed. 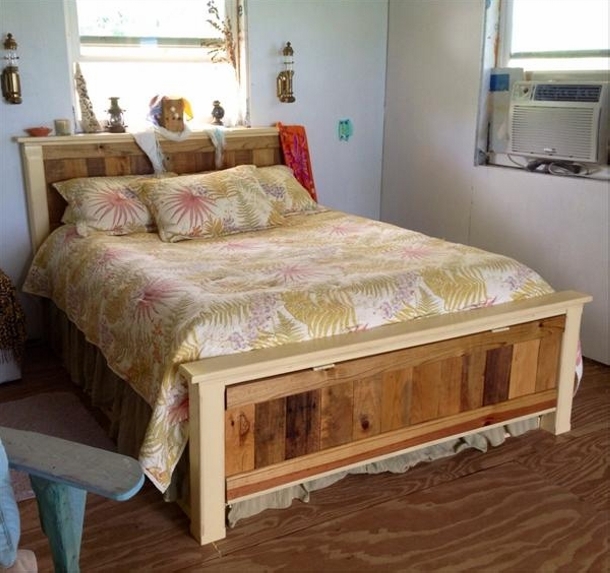 It has got a huge head board and also tiny side tables. 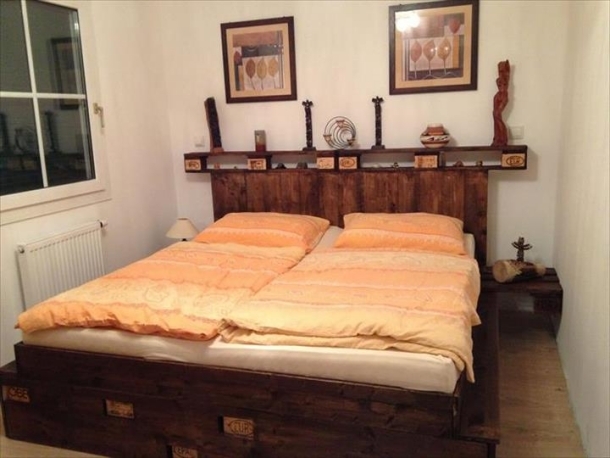 Pallets are fixed very smartly after some fine sanding and finally they are very well stained in dark brown color. 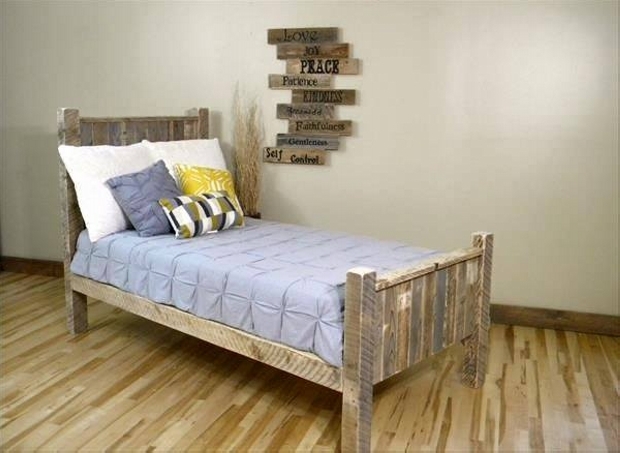 This is again a simple pallet wood bed. 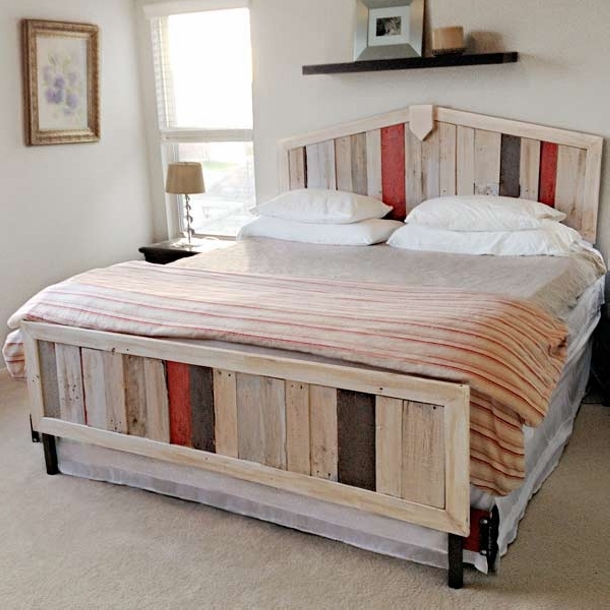 Just the basic pallet wood frame is prepared using some raw pallets, there is a huge head board, and rest of the frame is just as simple as it could be. 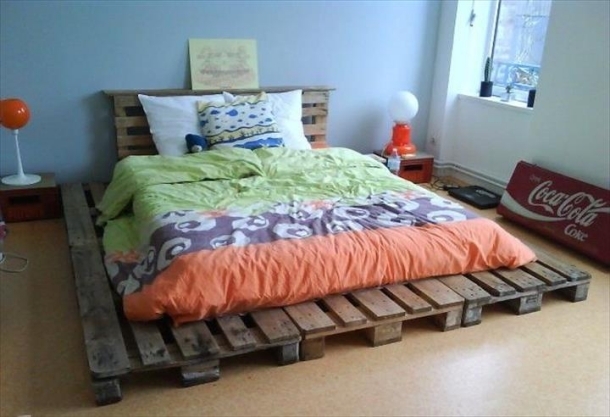 But still it’s a great deal to have such a huge pallet wood just free of cost. 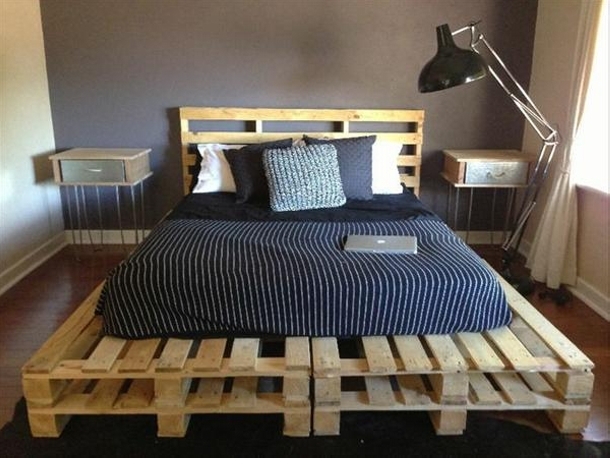 This one could very easily be perceived as a pallet wooden recycled room bed immediately at first sight. It is rustic in color, huge in size, and it holds a very stylish design as well. Its side drawers are an additional quality to be explored. 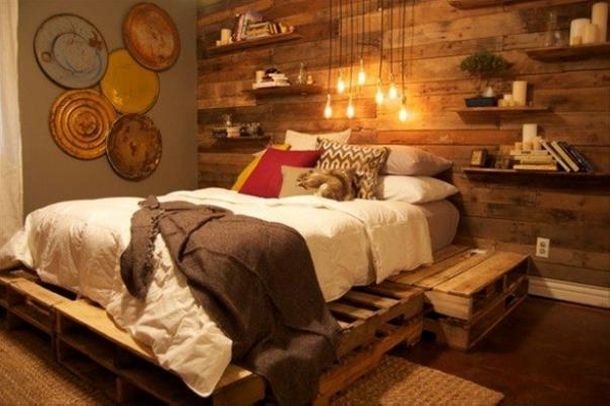 Wow, just hold your breath before having a look on this pallet wooden heaven. 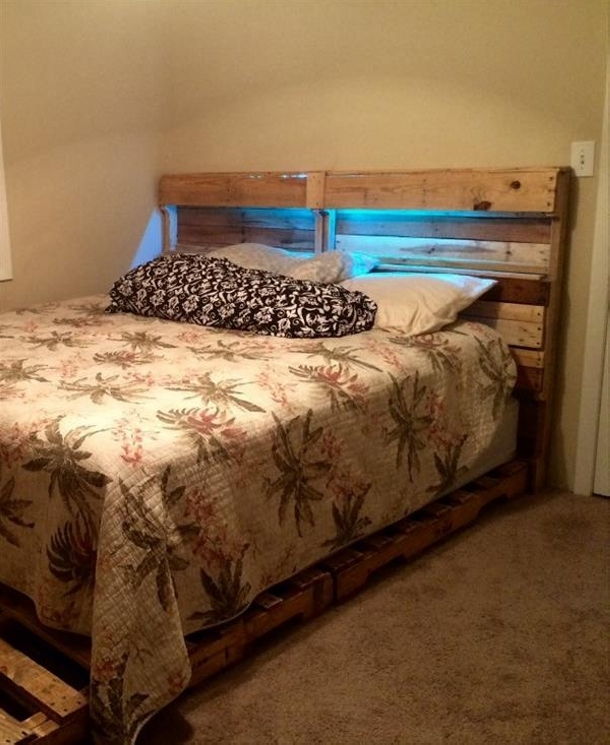 The whole accent wall art, pallet wood bed, and the surrounding atmosphere is literally intoxicating man… some straight wooden pallets are put together like a bed and then covered with a luxury spring mattress. 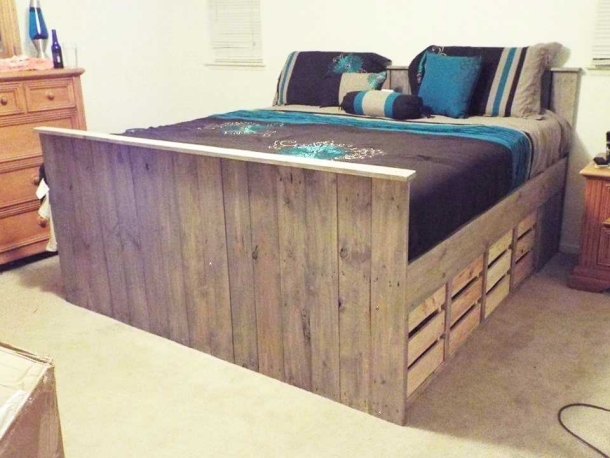 This pallet wood bed and setting is worth all the efforts. 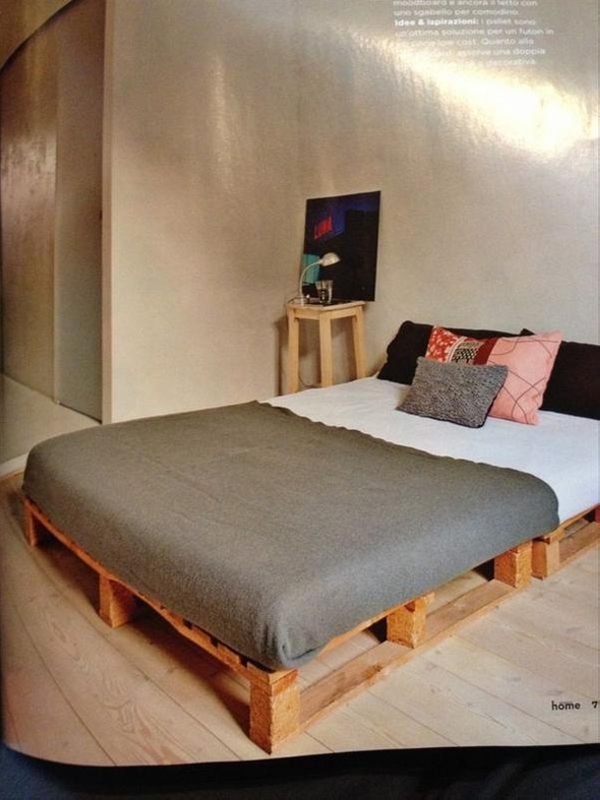 Again we come across a very simple pallets bed. Well, one can not be simpler than this one again. 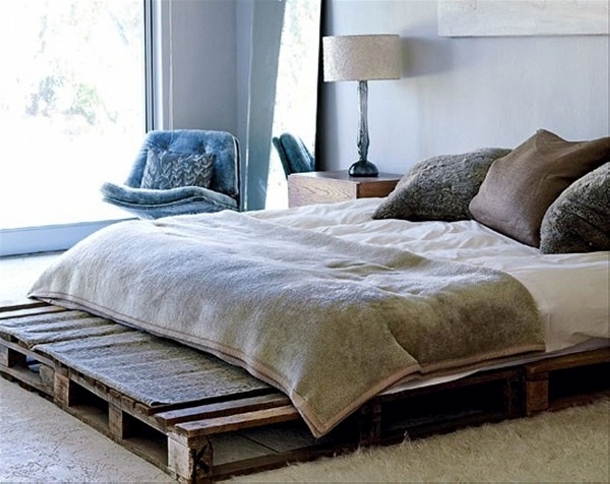 Again some raw and deteriorated pallets are placed together joined up, covered with the mattress, and on the back a couple of pallets are fixed making them look like a perfect headboard.